Manufacturer has a legacy of over 70 years. Wellness Products from Bikaner, Rajasthan. Helpful in chronic or acute constipation. Mohan Ji Pansari Herbal Products have a legacy of over 70 years, with the objective of design, develop, manufacture and sale of genuine, high quality Ayurvedic and Ayurvedic concept based Botanical (Herbal) products in the local and other markets. The company commenced its operations initially by launching a range of traditional Ayurvedic Pharmaceutical preparations to the local market after developing quality plans for standardized batches conforming to the quality standards required by the autorized agencies. This range of products consisted of traditional medicinal preparations such as Arishtas, Asavas, Kwathas, Choornas, Oils, Rasayanas, Avalehas, Grithas, Gulis, and Syrups etc. Mohanji distributed its pharmaceutical range mainly to the Ayurvedic physicians, Ayurvedic pharmacies, hospitals and clinics, Ayurveda resorts and hotels etc. 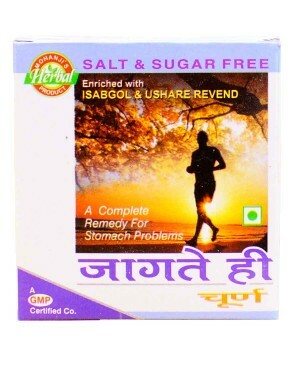 The initial responses on the quality and the prices of the products from the customers were very much encouraging.Mohan Ji Pansari Herbal Products have a legacy of over 70 years, with the objective of design, develop, manufacture and sale of genuine, high quality Ayurvedic and Ayurvedic concept based Botanical (Herbal) products in the local and other markets. The company commenced its operations initially by launching a range of traditional Ayurvedic Pharmaceutical preparations to the local market after developing quality plans for standardized batches conforming to the quality standards required by the autorized agencies. This range of products consisted of traditional medicinal preparations such as Arishtas, Asavas, Kwathas, Choornas, Oils, Rasayanas, Avalehas, Grithas, Gulis, and Syrups etc. Mohanji distributed its pharmaceutical range mainly to the Ayurvedic physicians, Ayurvedic pharmacies, hospitals and clinics, Ayurveda resorts and hotels etc. The initial responses on the quality and the prices of the products from the customers were very much encouraging. This Jagtey hee churna manufactured in Bikaner, Rajasthan is helpful in chronic or acute constipation and hyperacidity with piles and rheumatism. Also, it gives relief from headache. Disclaimer: We are not manufacturer of any food products. We only supply products of original and reputed vendors across India. All products are dispatched directly from the vendor with their original packing and safe gaurded by doing wishvilla packing.